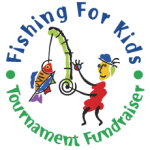 Planning is currently underway for the fourth annual Fishing for Kids fundraising event, West Coast Fishing Club’s prestigious charity fishing tournament in support of BC Children’s Hospital. In just three years, the event has raised more than $1.5 million for B.C.’s kids in need with significant funding directed toward the Child & Family Research Institute, a facility committed to world-class research spanning a wide range of children’s health concerns including diabetes, cardiovascular, genetics and oncology. The success of the four-day event depends entirely on the dedication and generosity of its participants and sponsors. This year’s entry fee of $6,500, will present anglers with an opportunity to win over $150,000 in prizes, including a top cash prize of $75,000. In the spirit of the tournament we expect winners will opt to donate winnings back, as they have done in previous years, in return for a valid tax receipt. This year the tournament moves from its traditional May time slot to early September, in order to capitalize on optimum fishing conditions. West Coast Fishing Club provides luxurious accommodations at the Clubhouse on Langara Island, gourmet meals, and of course, the best fishing in the world. Returning special guests include Vancouver Canucks defenseman, Willie Mitchell and international culinary star, David Hawksworth. Willie and David have both been instrumental in raising the profile of the event in the past 3 years and making valuable contributions to its success. 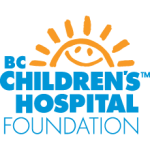 With BC Children’s Hospital remaining our major event beneficiary in 2009, we will also be donating partial proceeds (“Daily Jackpot” winnings) to the newly founded Canucks Autism Network. Spearheaded by Paolo and Clara Aquilini, CAN’s goal is to enhance the quality of life for over 4500 children and youth living with Autism in British Columbia.